parentheses to be evaluated first.  Multiplication and division occur before addition and subtraction. 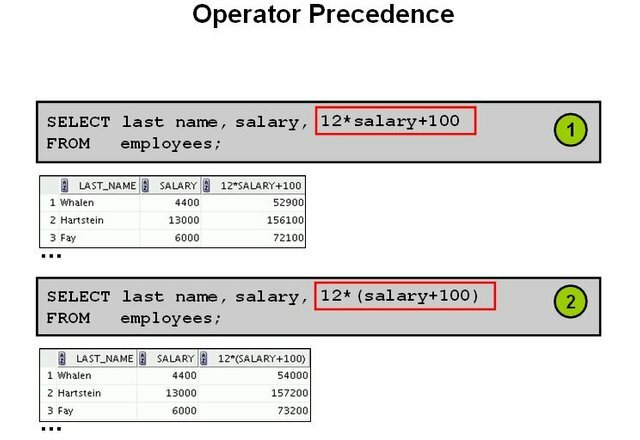  Operators of the same priority are evaluated from left to right. 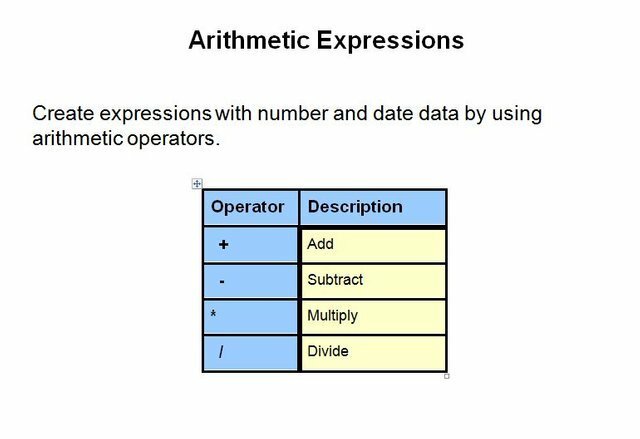 that multiplication is performed before addition. as (12*salary)+100 with no change in the result. the desired order in which operators are to be executed. be null or to contain a null. number, and a space is a character. 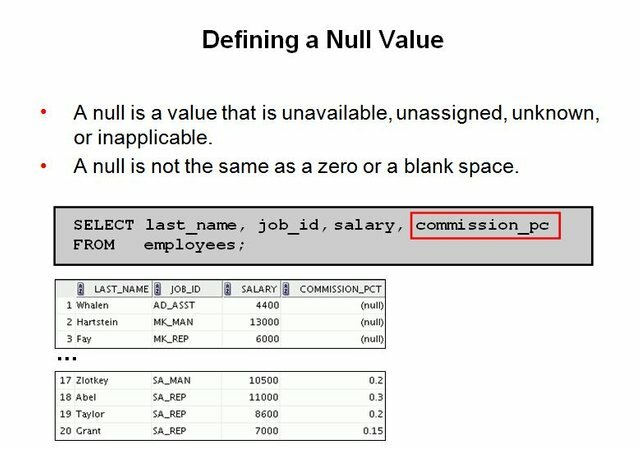 NULL and PRIMARY KEY) prevent nulls from being used in the column. 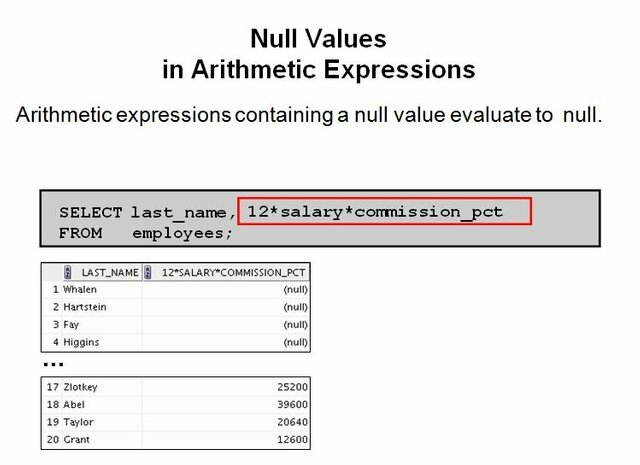 In the example in the slide, employee King does not get any commission. null. 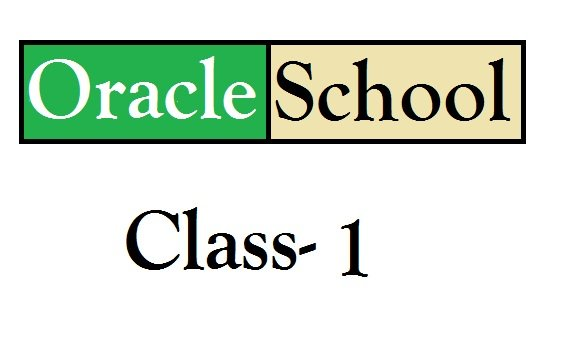 For more information, see Basic Elements of SQL in SQL Reference. 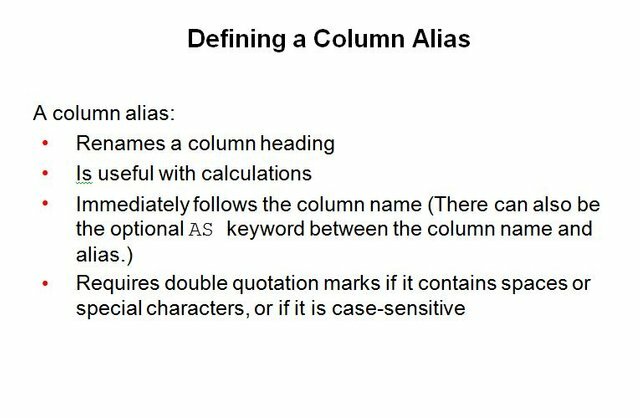 a column heading by using a column alias. case-sensitive, enclose the alias in double quotation marks (" "). 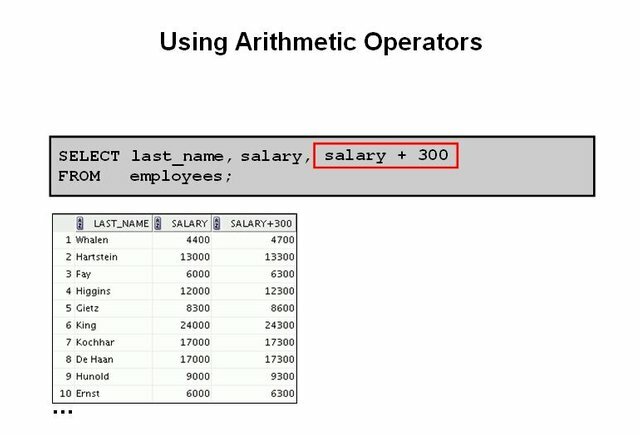 slide, column headings appear in uppercase by default. 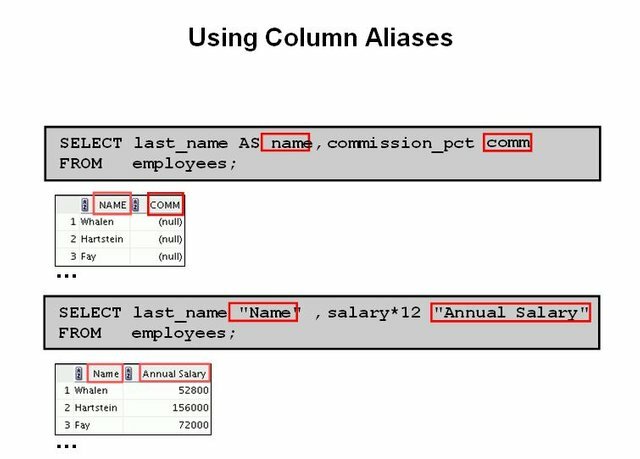 exactly the same as the column alias. 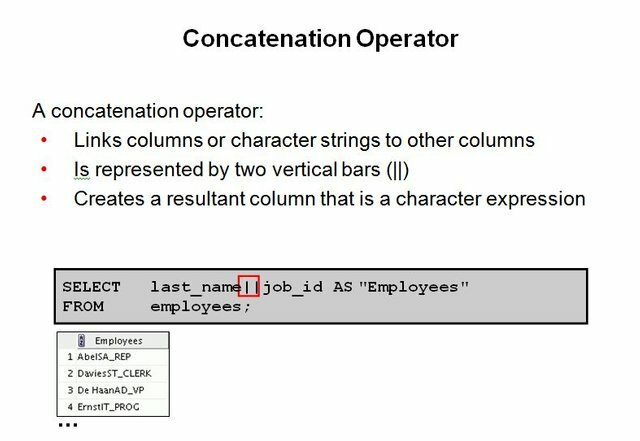 combined to make a single output column. The AS keyword before the alias name makes the SELECT clause easier to read. || NULL results in LAST_NAME. and can use for training course purpose. page Type the username and click vote.